DuPage Medical Group, the largest independent physician group in the Chicago area, recently received a $1.45 billion investment from Ares Management, a Los Angeles-based asset management firm. Ares also acquired the stake of another private equity firm, Summit Partners, which invested $250 million in DuPage Medical a few years ago and was originally expected to hold an interest in DuPage for at least seven years. But when DuPage Medical performed three years ahead of schedule, generating $741 million in revenue and acquiring a number of local practices in 2016, the organization started seeking other outside investors. 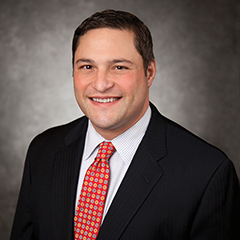 Modern Healthcare hospital operations reporter Alex Kacik recently talked with DuPage Medical CEO Michael Kasper about the group's growth. The following is an edited transcript. Modern Healthcare: How do you plan on using that investment? Michael Kasper:​ We felt like the Summit deal would help us move and grow in the Chicagoland area and that the next year would become the platform for us to move to more of a regional or national scale. We are roughly about 700 physicians now, and we can see that scaling to 1,200. Another thing we will be doing is identifying potential folks that we can partner with and bring our tools to bear. So, growing and continuing to provide an integrated outpatient delivery system in the suburbs of Chicago will continue to be a priority, but we will also be working to expand outside the area. MH: As an independent group, what are you looking for in a partnership to make it work for both sides? Kasper:​ The most important thing in any partnership that we go into is that we have alignment on improving the clinical model. Whether it's orthopedics, cardiology or anything else, we think there is real opportunity for physicians and institutions like hospitals to work together. We are really looking for a more holistic approach to working with the patient. When we have alignment on the hospital side, we can figure out the best way to handle the discharge planning, what services they might need when they go home, and how we handle the pre-admission process, making sure that the patient is fully aware. If everyone gets aligned on all those things, we can ensure an improvement in quality and experience for our patients. MH: Amid all this consolidation, how has DuPage Medical remained independent? Kasper: We have great doctors, and you can't have a practice like ours if you don't bring in the best physicians in the community. And it is a physician-led process in terms of how we recruit doctors, how they join the team, the credentialing process; they become, in essence, our identity. And we are not folks who tend to overspend on things. We are disciplined and we make investments. We buy the best technology available to deliver the best service to our patients. The other thing that I think some other providers have struggled with is, we put a stake in the ground and said we are going to be a high-quality, high-efficiency, high-value provider. And some organizations get nervous about what that means from a fee-for-service perspective. We said we are going to focus on what's best for the patient, and if we deliver on not only quality, but value, we are going to have a very robust patient base to work from. MH: How has vertical integration impacted the overall healthcare industry? MH: How is DuPage Medical preparing for new physician payment models? Kasper:​ We've been ahead of the game. I've been CEO for seven years and at my very first board retreat with our clinical board, we said that we are going to become a high-quality, high-value organization. And we are going to start to track ourselves and we aligned all of our contracts, so our physicians don't have to think about what card someone is presenting when they come. They all follow the same protocol and that allows us to be more efficient than other providers. So, because of our performance in the ACO, because of our performance on the quality side, in which we are top-10 percentile, we are poised to be successful in those payment models. MH: What's your take on how the industry is adapting as a whole to new physician payment models? Kasper: Too slow. Too slow without the right information. People are trying to come up with ways to give doctors report cards and share information with them. But it really is not helpful for doctors. One of the reasons that our organization is as successful as it is, is that it is physician led. So, when we come up with solutions, it is not trying to convince doctors what they should or shouldn't do, they are the solution makers. It's never a question of buy-in because they are defining it through their own lens. When we talk to our physicians, their ability to have a strong say in what their environment is is worth more than money to them. Their ability to be productive and have good quality outcomes is dependent on a work environment that moves pretty fast. MH: As more physicians are tapped to lead organizations, how do we best prepare younger physicians? Kasper:​ There are two areas I think medical students could really benefit from. It's not just the leadership side that people struggle with, it's the pace of community care—what it's like to be a doctor without supervision.